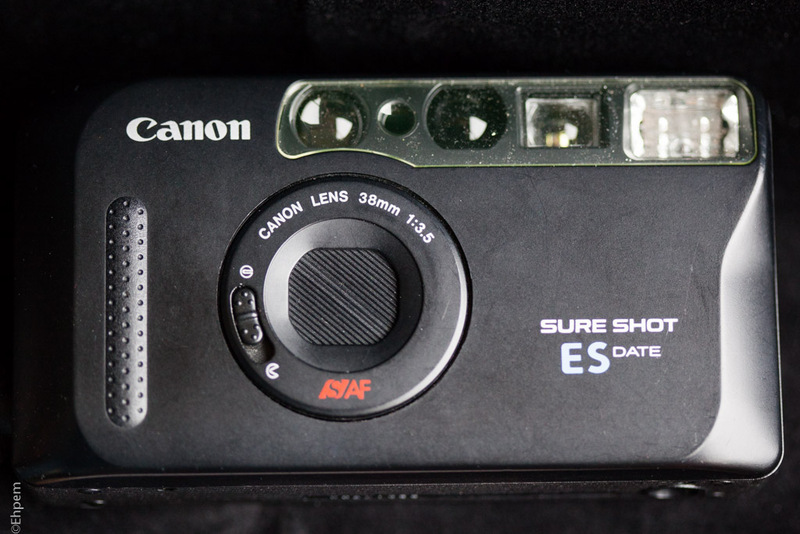 I found a Canon Sure Shot ES Date in a thrift store. I had not seen one before, and a quick search of the internet before purchase revealed no information at all. But for $2, what did I have to lose? Further research drew a lot of blanks until I clued in that this is a rebadge of a better known Sure Shot model. Canon does not list the ES/Date in their archive and none of my go-to places for film camera information have anything about it. After a couple of hours rummaging on the internet I conclude that this is a rebadged Sure Shot Max Date (AKA Prima 5/Autoboy Mini). The evidence for that is a parts manual for the Max and Max Date which lists in a secondary font also the Sure Shot Lock, ES, ES Date, K Date and PAL models. Photographs, and the parts manual, show that it has a different front cover, and a different name ring around the lens. All other parts have the same part number. This applies also to the Sure Shot Lock, Sure Shot K Date and Sure Shot PAL. All the same thing, rebranded for some obscure marketing reason and thus nearly lost to prosperity. AF System 3-point Smart Autofocus with near-infrared beam. Prefocus enabled. Shutter Electromagnetic programmed shutter and aperture. In auto mode and flash-on mode: EV 9.5 (f/3.5 at 1/60 sec.) – EV 17 (f/22 at 1/250 sec.). In flash-off mode: EV 7 (f/3.5 at 1/8 sec.) – EV 17 (f/22 at 1/250 sec.). Built-in electronic self-timer. Viewfinder Albada reversed Galilean viewfinder. 0.37x magnification and 85% coverage. Within the image area are the AF frame, parallax correction frame, OK-to-Shoot indicator, flash ready, camera-shake warning lamp, red-eye reduction indicator, and close-up warning. EE a-Si cell for full-auto program EE. Metering range of EV 7 – 17. Film speed range: ISO 25 – 3200 (with DX code). Built-in Flash Fixed, built-in flash. Guide No. 9 (at ISO 100 in meters). Fires automatically in backlight and low-light conditions. Red-eye reduction lamp provided. Feature Year, month, day; day, hour, minute; and 5 captions displayable on 7-segment transparent LCD for imprinting. Advance After opening camera back, align film leader at mark, then close the camera back for auto loading. Automatic film advance with built-in motor. Film advance speed: 1 fps. Frame Counter Counts up during film advance. Counts down during rewind. Film Rewind Automatic rewind with built-in motor. The manual indicates additionally that near focus is 0.65 m (2.1 ft) and the camera strap is the same length providing a handy measuring device to measure if too close. Non DX-coded film is metered as if ISO 25. The manual includes instructions for the date functions, and the clock is good until 2019, so this camera still has a bit of its life expectancy to go. The date battery is dead in my camera and having no use for that feature I have not replaced it. That battery, a CR2025, is held on the inside of the rear door so replacement must be done between rolls of film and requires a tiny Phillips screw driver. I tested the camera in January with my last roll of Agfa Vista 200. Like so many of the Canon point and shoot cameras with fixed focal length lenses this is a good performer. It handles quite well, though the ES has less of a grip on the front for hand holding than the Max appears to and there is some potential for the camera to slip. One very nice feature is that there is a manual switch to turn off the flash (one of three modes) – once the switch is set you never have to think about the flash going off unexpectedly. The CR123 lithium batteries are still easy to come by and are rated in the manual as good for 18 rolls of film with 50% flash use. The viewfinder is a bit small but the frame lines, including close up lines, are very bright and easily seen. The film advance is a bit noisier than I would like, but in most street photography settings would not be noticeable more than a foot or two away. The lens protrudes 1.2 cm when the camera is turned on but when retracted is automatically covered and quite pocket-able. The lens is very good for this class of camera and the metering seems spot on. I find that a 38 mm lens is a bit too long for a point and shoot camera – I prefer something in the 28-35 mm range, but this is close and I can certainly live with it. The size is a substantially bigger than my favourite Olympus point and shoots (mjuii and XA2) and a bit larger than the Yashica T4. 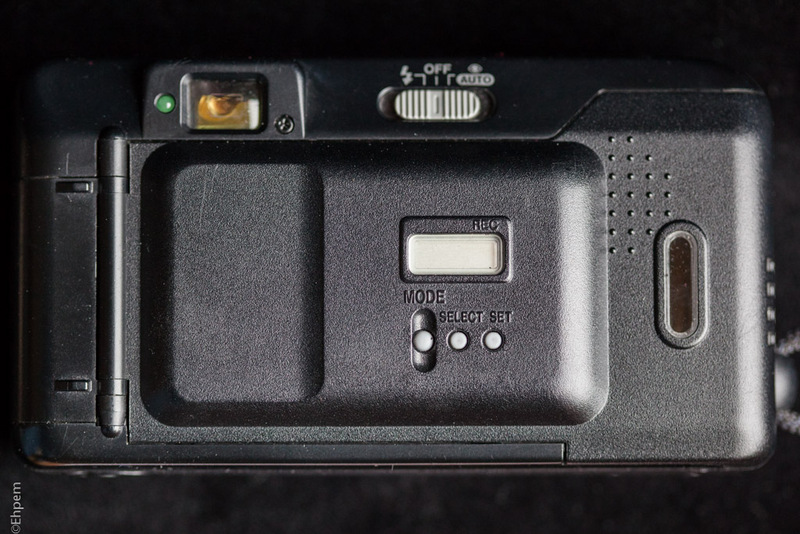 Those are among the best and smallest point and shoot cameras and I would not put this one in that same class. But, it is not too large; though it would be a stretch in most trouser pockets it is just fine in a coat pocket. I got some pleasing results and would definitely use it again. I would recommend this camera under any of its names as a very competent smallish point and shoot that can be had for a very good price. If you see one for a few dollars, don’t hesitate to buy it, so long as the battery compartment is clean. You got some really nice shots with this, no wonder you’re pleased, and at $2 plus film/processing, as they say, what’s not to like?! This is a great example of a highly serviceable point and shoot. The fixed focal length Canons rarely disappoint. The film was $2, processing was $5, and I had a low res commercial scan done for about $11,so it does add up. Especially the scanning which is a bit of a rip off since the operator does nothing on individual images after confirming the film setting and then it just runs through in a couple of minutes. But, if I do them at home it can take a couple of hours for a roll of 24, and is a pain. My budget is indicating I had better start scanning my own again though! Funny! They must love you at the thrift stores. Maybe a little bit of a storage problem at some point! Hi Lynn – the good scanning places do pay attention to each frame, but the run of the mill scanning and especially the low resolution scanning get short shrift. The extra attention on the higher resolution scans really pushes the price up. As to storage it is a big problem. Soon I will start divesting myself of cameras. If you decide you want to dip into the point and shoot film world let me know and I’ll send you one! Oh,and the battery. I took it out of another camera, but they can be quite pricey $5-10 when bought individually in a camera store. I recently bought a box of new batteries in a thrift store, not yet expired which comprised 400 packs of batteries with 600 batteries in them. I only wanted one pack but they said take the whole box or none, so I got them all for the price of the battery I wanted new. Still trying to figure out how to deal with them – most are for cameras of different kinds but I will never need them all. When you’re ready for the great give-away, I would be happy to try one out. I find myself gravitating to the “film effects” choices in processing often enough! Outstanding! 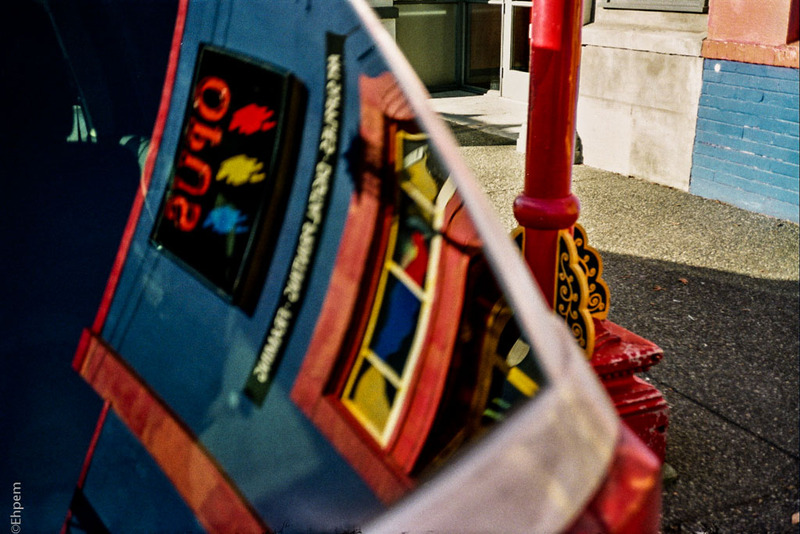 You got some wonderful color and sharpness on that Agfa Vista 200. Thanks for putting this little camera on my radar! Thank you Jim. There are some very good point and shoot cameras out there that don’t fall into the cult category but which I think are nearly as good. This has to be one of them. I am going to have to get my sister to bring some Agfa when she next visits from UK, especially with Fuji now discontinuing (aargh) most of their consumer grade colour film. 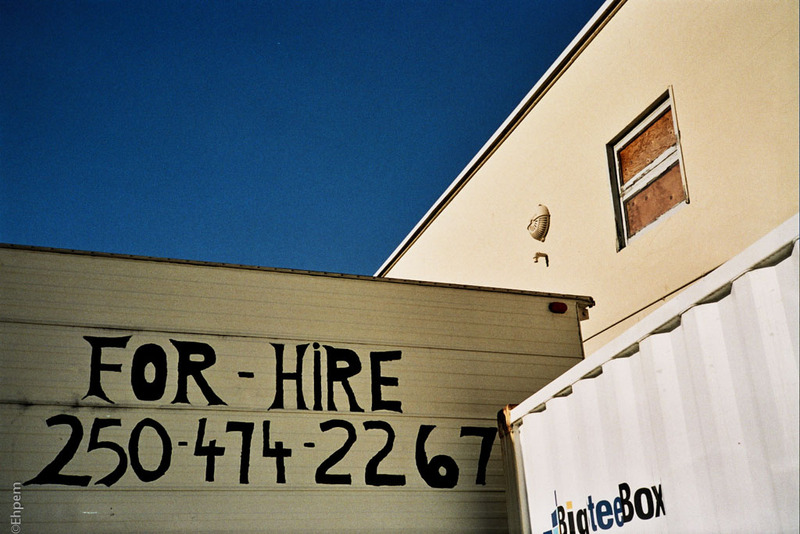 Yeah, only Fujicolor 200 and Superia Xtra 400 (in 36-exp rolls) remain. It’s hard news. I shoot a lot of Fuji consumer-grade color film. Thank heavens I have about 25 rolls of the stuff in the freezer. Hard news indeed. I had better look around town to see what is available.